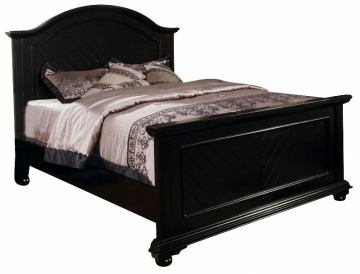 The Newville Bed in Ebony Black by Acme Furniture offers a refreshing design on country style. 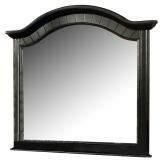 Classic arched headboard is adorned with molding and a chevron pattern panel, while the low rise footboard echoes the same chevron pattern with a flat top rail. 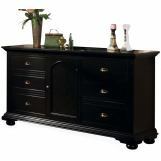 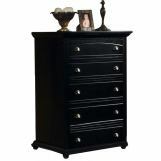 The rich black finish, turned ball feet and subtle hardware lend a dramatic yet playful feel.